Researchers, who had previously focused only on how to improve functions of the TV when it is on, began to think outside the box. The black screen of the TV when turned off is an eyesore to many. Some users even hide their TV sets in a cabinet. These observations prompted TV developers to act. Concentrating their attention on the TV screen, they eventually came up with the inspired idea of making the screen “transparent” when not in use. Users can choose to use this transparent screen to display pictures, news or weather forecasts, or make it seamlessly blend with the background. 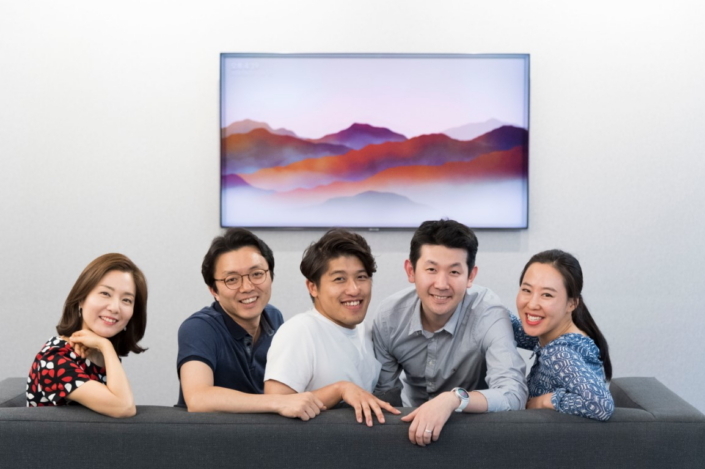 Creators from Samsung Electronics’ Visual Display Division explain how they developed “Ambient Mode” below. At the First Look 2018 New York, held on March 7 (local time) at the American Stock Exchange, the SmartThings app was used to take a picture of the wall in front of which a QLED TV was positioned, and then the TV disappeared. 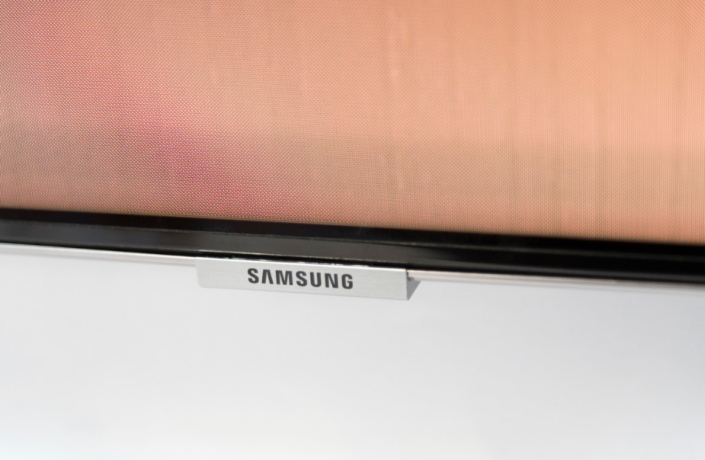 It was now in Ambient Mode, one of the features of 2018 QLED TVs. When this simple but innovative feature was revealed for the first time in the world, the audience burst into applause. 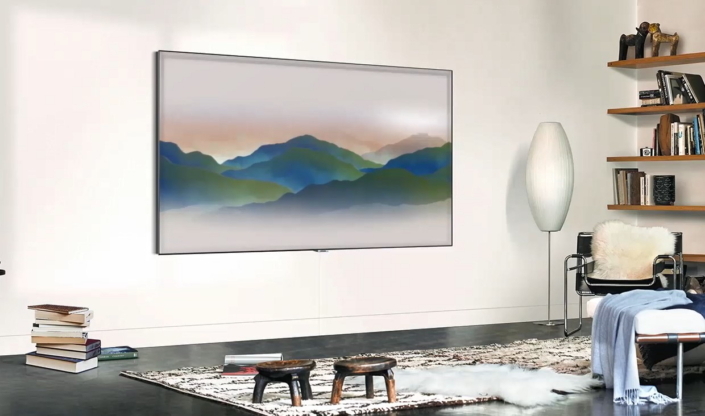 Ambient Mode analyzes the pattern and texture of the wall where the TV is mounted and displays the result on screen, leaving only the TV frame visible. Contrast and brightness can be adjusted for the best result. 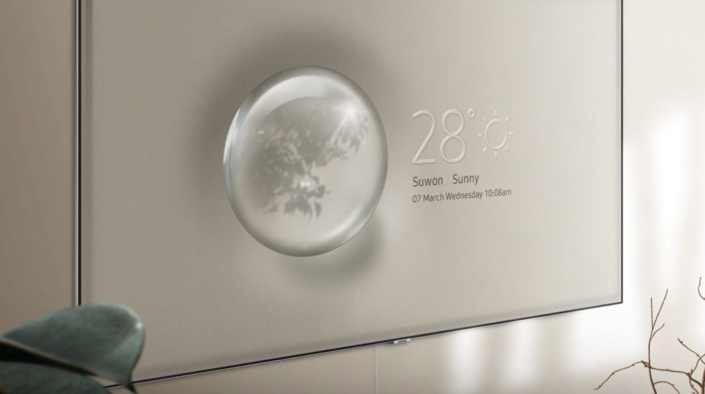 Ambient Mode can also display news and weather forecasts in real time. It is a far cry from a simple screensaver, which uses images to cover the blackness of the screen. “Bringing the data in real time, Ambient Mode puts truly ‘live’ content on the screen. This is what differentiates Ambient Mode,” said Suwon Shin from the R&D team. This innovative change was born through observing customers continuously. “My team researched lots of customers’ behaviors. Many users did not want to see the black screen in their living rooms when the TV was off. That’s when we came up with this idea.” said Yoojin Choi, a UX designer at Samsung Electronics. The division developed an algorism that generates patterns after analyzing the background. This is not the only thing they learned through consumer research. According to Samsung Electronics’ survey, about 70 to 80 percent of households had bright wall colors without complicated patterns. 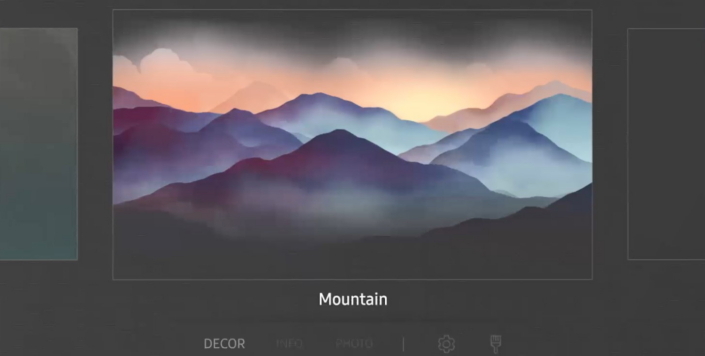 They therefore added various plain background options so that customers could just choose one of them, fine-tune the color and brightness, and enjoy Ambient Mode. Ambient Mode combines varied content on the transparent screen. In order to make the home more comfortable, developers built around the concept of nature. At six o’clock in the morning when the sun rises and lightens the house, the white luminance display level increases. When indirect lighting, such as a fluorescent lamp, is turned on, yellow has the highest luminance value. Birds sing at noon and crickets chirp in the evening. It is perfection down to the smallest detail. The process of creating an unprecedented experience, including content moving as if it were alive, was a series of twists and turns. In addition to developing technology that could read and respond sensitively to every situation, the engineers had to figure out what customers have in common. “A still picture would not work. We had to make it seem alive and in harmony with its surroundings. Over the past year, I made more than 900 sketches. Only 10 of them survived. 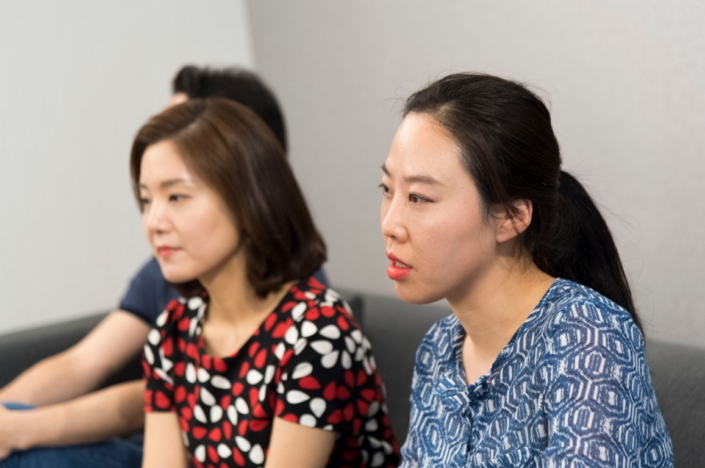 It was such a difficult a mission,” said Choi. Conventional TVs consume electricity while not in use. However, in Ambient Mode, 2018 QLED TVs detect when users are not around or when the lights are off using Bluetooth Low Energy and turn themselves off. The key is connectivity between the TV and the user. This function reduces energy consumption and extends the life of the TVs. With Ambient Mode, the creators realized what was only a wild imagination to someone else. And the team will continue their endeavor in bringing the unimaginable to reality.